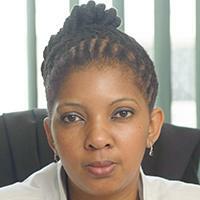 Mrs. Karabo Ozah is an attorney and Deputy Director at the Centre for Child. She is also an extraordinary lecturer in the Department of Private Law of the University of Pretoria in South Africa. The Centre advances and protects children’s constitutional rights through strategic litigation, advocacy and research. Mrs. Karabo joined the Centre for Child Law in 2007 and has litigated a significant number of child rights matters in the South African courts. She holds an LL.B and LL.M. (Child Law, as well as a Certificate in Advanced Labour Law from the University of Pretoria. Mrs. Karabo researches and publishes in the area of Child Law and also lectures Child Law and Human Rights at the University of Pretoria. She is currently a member of the Expert Group on Parentage and Surrogacy of the Permanent Bureau of the Hague Conference on Private International Law.